You are all more than welcome to come by for the Open Hack this Thurs. evening just to visit and see what may be happening. I'll probably take my 3D printer out and I'm sure some other things will be going on. We'll have the Sugru by next Thursday. The build night will happen next Thursday. If you RSVPd and can't make it out next week, I'll be glad to reserve some of the Sugru for you. If you RSVPd, you should already have an email. If you have any questions, please direct them to me. Once this stuff arrives, we're looking to put together a few instructables to say thanks to Instructables.com for providing the material. If you have some ideas that would be conducive to that, please let us know. Also, check out the cool app for smartphones that Instructables created to make it really easy to make Instructables. Find it in the Android or iOS app stores. The folks at Instructables partnered with Sugru to ship us a bunch of Sugru to try out and come up with cool hacks. If your are interested in checking out this product and trying out your own Sugru based idea we'll have it around for the Open Hack on July 18th. Come on out and see what we've got going on. If you'd like to talk about Sugru ideas feel free to pop into the discussion list or hang out in IRC. If you're looking for some inspiration check out all the Sugru on Instructables. Bring your own stuff to hack on the Sugru with. Have some broken shoes? A favorite pair of scissors that needs a nub in just the right place? A backpack that needs a beautiful new colorful design on it? Bring it. We'll have the Sugru. Colors and Sugru packages will be provided on a first-come, first-serve basis. We're prepared for 15 people to join us. Jared Steckl of MakeLV is the guest speaker at the next Lehigh Valley Tech Talk. 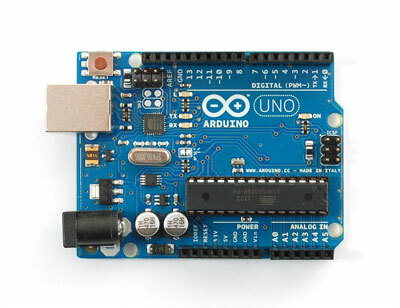 You can find out more and sign-up to attend at the Lehigh Valley Tech Talk: Arduino meetup event page. There already looks to be a pretty decent crowd planning to attend so this may fill up pretty quickly. The last Tech Talk event was also very well attended. On January 26th at 2PM, Make Lehigh Valley will be hosting a talk by Jason Plum (@WarheadsSE of Arch Linux ARM/@ArchLinuxARM) on the Raspberry Pi, Arch Linux ARM, and uses of the Raspberry Pi for applications such as: beer brewing, Arduino replacement, and home services. The talk, “A Slice of Pi”, will discuss the ins and outs of the ARM architecture as is applicable to the Raspberry Pi and similar devices, along with the critical differences from what you may have come to expect in other architectures. Please join us! Feel free to come by early/stay late and hang out for awhile. We're excited to be taking a bus to World Maker Faire in NYC this year on Saturday 9/29 and everyone in the Lehigh Valley is invited. We're starting in Allentown, PA and we'll make a second stop in Phillipsburg, New Jersey if there is interest. Since we'll have a big enough group, we're eligible for 25% off group rate on the tickets to the faire so your ride includes entry to the fair. We're using WePay to facilitate bringing the group together. Use the "Get A Ride" button to get your ride and ticket to the faire purchased. If you've already purchased a ticket, you can still ride with us, just be sure to select the appropriate ride ticket. You can get your hands on the Event Program here. Directions to the Science Center can be found on their website.